Scholars believe that Chinese calligraphy and Chinese painting as we know it today descended from a common origin. Ancient Chinese hieroglyphs are like pictures and embody ancient Chinese culture. This 50-minute workshop will introduce the meanings of images in Chinese text through storytelling. Participants are encouraged to create their own pictograms. 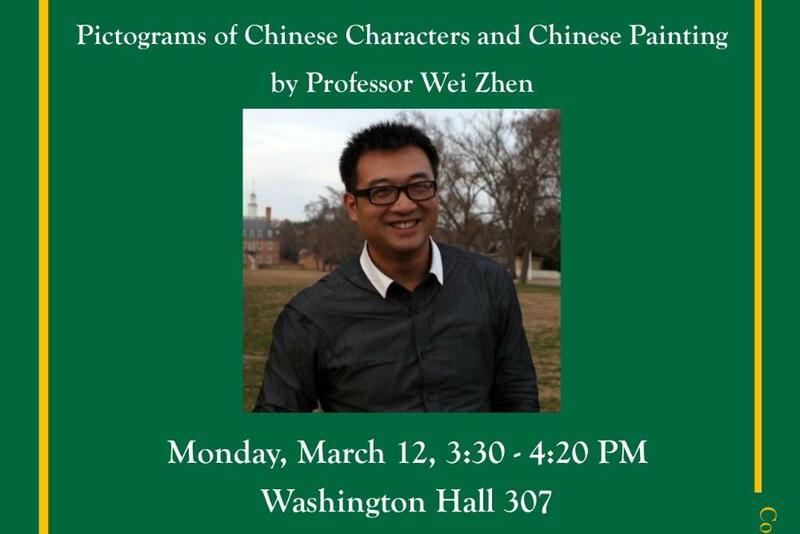 Wei Zhen is an Associate Dean at Beijing Normal University?s School of Arts and Communication as well as an award-winning painter, the author of many books and articles, and a Fulbright Visiting Scholar. The workshop will be held on Monday, March 12th, from 3:30 to 4:20 PM in Washington Hall 307.